The Walkerton Clean Water Centre has a new addition to its Technology Demonstration Facility. The Fluidized Bed Ion Exchange is designed to remove organics from water to control disinfection by-products. Organic reduction is one of the top requests for pilot testing from drinking water systems. This new equipment will allow the water centre to increase its capacity for pilot testing and has helped communities optimize their drinking water. 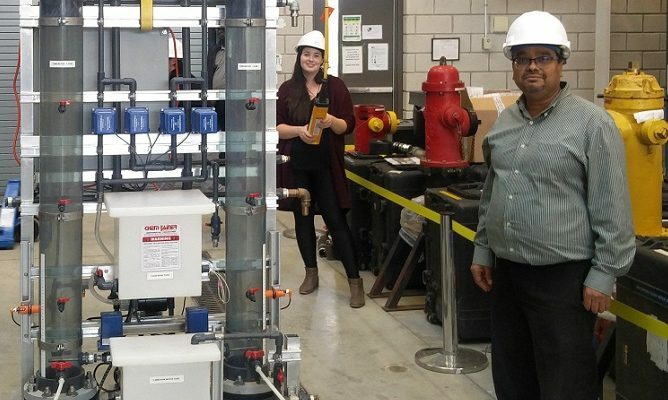 Other pilot-scale water treatment equipment can be tested using a community’s raw water, either at Walkerton facility or installed at a community’s water treatment plant. To date, high-quality drinking water training has been provided to more than 80,000 participants across Ontario.